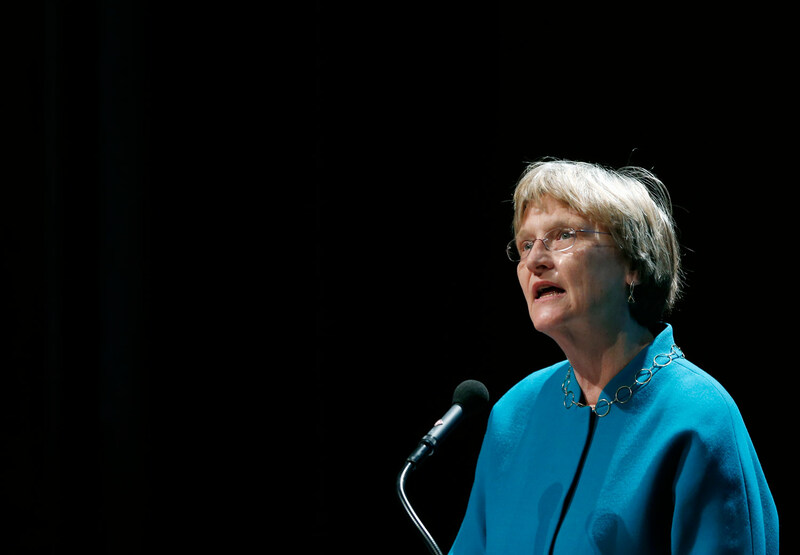 A large group of Harvard faculty release an open letter to President Drew Gilpin Faust calling forcefully for fossil-fuel divestment. Our University invests in the fossil fuel industry: this is for us the central issue. We now know that fossil fuels cause climate change of unprecedented destructive potential. We also know that many in this industry spend large sums of money to mislead the public, deny climate science, control legislation and regulation, and suppress alternative energy sources. The faculty’s challenge comes hard on the heels of Faust’s latest pronouncement on the subject of climate change, in which she appeared to move ever so slightly in the direction of moral seriousness, yet reaffirmed her opposition to divestment and doubled down on the unserious path of action she has advocated in the past, which is restricted to research, campus greening and investor engagement with fossil-fuel companies. The faculty letter also comes after many months of organizing, campaigning and writing by students and supportive alumni. (See, for example, these posts by undergraduates Chloe Maxmin and Hannah Borowsky, grad students Tim DeChristopher, Ben Franta and Ted Hamilton and alums Todd Gitlin of Columbia University and former SEC Commissioner Bevis Longstreth. How often does a Reagan appointee join forces with a ’60s-era president of SDS?) I even had a few words to say on the subject myself. Divestment is an act of ethical responsibility, a protest against current practices that cannot be altered as quickly or effectively by other means. The University either invests in fossil fuel corporations, or it divests. If the Corporation regards divestment as “political,” then its continued investment is a similarly political act, one that finances present corporate activities and calculates profit from them. The only way to remain “neutral” in such circumstances is to bracket ethical principles even while being deeply concerned about consequences. Slavery was once an investment issue, as were apartheid and the harm caused by smoking. How, exactly, will the University “encourage” fossil fuel corporations in “addressing pressing environmental imperatives”? Will Harvard initiate or support shareholder resolutions? Will it divest from coal companies? Will it ask questions at shareholder meetings? Will it set standards analogous to the Sullivan Principles? Will it conduct private meetings? In short, how long will Business As Usual continue? The questions in this section are not rhetorical. They require answers. Maybe today Harvard came a step closer to actually doing something commensurate with this crisis.